Further, multiple SmartMotors and multiple I/O devices may be on the same CAN bus. When combined with Combitronic™ motor-to-motor communications, this allows for complex, multi-axis, multi-I/O-device network control. 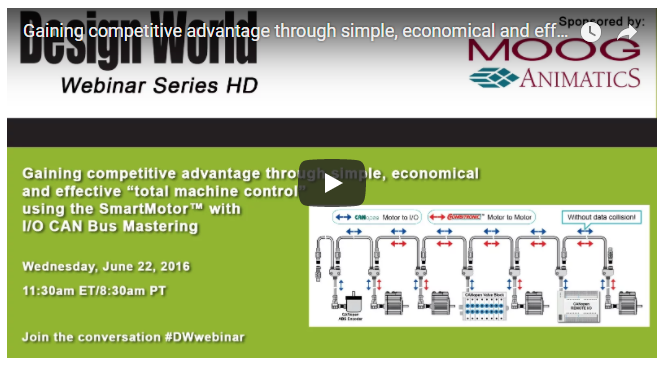 This presentation will let you look under the hood and see how this new capability empowers machine builders with a simple, economical and effective “total machine control” solution using the SmartMotor™ with I/O CAN Bus Master.